What would happen if a battalion of US marines found themselves transported back in time and forced to fight the Roman Empire? It was a question casually asked on Reddit, expertly answered by a Reddit member and now reportedly set to be turned into a Hollywood movie. The writer, James Erwin (who, by day, is a financial industry software manual writer), provided a brief and detailed account of the first 7 days of the confrontation during his lunch break and quickly racked up thousands of comments. Afterwards he asked the community what he should do next and they responded by requesting a sub-reddit for the story to develop. Erwin wrote the eighth day on the new subreddit, including some material from fans on how the story could develop. Shortly afterwards a whole culture emerged with fan fiction, artwork and logos all appearing. It wasn’t long before Hollywood came knocking and advised Erwin to stop posting any more updates on Reddit and instead work on a secret screenplay for a blockbuster movie – a deal he accepted. To read a more detailed account of Erwin’s story check out this Wired article. Reddit is fertile soil for crowdsourced flash fiction to grow. Anyone can post a compelling question, anyone can write a response and anyone can chuck in suggestions. This method of collaborative ideation is also something that established writers have begun to capitalise on. Writer Neil Gaiman recently took to Twitter to call out for suggestions for a new collection of stories. The writer has described the project as a ‘ping-pong’ match between himself and his fans: he will write the tales, but the ideas and illustrations will come from his Twitter following. Brett Easton Ellis also conducted a brainstorm via Twitter while thinking about a sequel to American Psycho. This is a method of writing that could only realistically happen on the internet; a place where readers can ‘write back’ to the writer in real time. As such this is an entirely new type of authorship – one that is in tandem with the profound changes that we see as a result of the digital revolution. This is a writing that comes from the logic of the screen as opposed to that of the book – and also a writing that destabilises the notion of a text coming from one single author. Is this all that new? Could this development echo Roland Barthes essay from 1967, ‘The Death of the Author’? Barthes argues that it is never really an author that speaks. That the author was just an invention which emerged into modern society after the middle ages alongside the advent of science and mathematics. “The text is a tissue of quotations drawn from the innumerable centres of culture.. [The authors] only power is to mix writings, to counter the ones with the others, in such a way as never to rest on any one of them. Did he wish to express himself, he ought at least to know that the inner ‘thing’ he thinks to ‘translate’ is itself only a ready-formed dictionary, its words only explainable through other words, and so on indefinitely. Will we see the emergence of a new literature? Is the first classic collaborative piece of storytelling around the corner? What will it look like? Will it ever be ‘complete’, or will it be like Wikipedia – growing daily with thousands of contributors? I listened to an interesting talk/Q&A with top community manager Justin Isaf who spoke, among other things, about what he called Soapbox Trolls. These are the kind of people that aren’t joining a community to have a healthy debate about something, but rather want to wax lyrical and discourse at length about what they think. They’ll often be incredibly well informed and will quote facts and figures at length. What they will often do is take the conversation that is taking place and raise it to a level higher – what Justin calls the meta-conversation. Justin deals with these soapbox trolls by deleting their comments and banning them (note – this is not all the time, context is important). They aren’t there for the conversation, they are looking for the opportunity to talk about themselves. The great thing about the internet is that everyone can have their soapbox. Everyone deserves a soapbox! But, as marketing legend Seth Godin states, ‘everyone doesn’t deserve their own audience’ – and they certainly don’t deserve your community as an audience. Whereas Soapbox Trolls are not worth a community managers time, people that use bad language or are abusive are not to be banned outright. These people can often be turned around to become the most constructive members of a community. The important thing to remember is to teach people what language and behaviour is and isn’t appropriate inside your community. I recently joined the ranks of tablet owners by getting my hands on a Samsung Galaxy Note 10.1. The first thing to mention is how awesome using a stylus is (a stylus is like a pen). A few minutes of using a stylus and using fingers to swipe around seems so 2012. A stylus is great for handwriting notes in meetings and doing anything that requires precision (such as image editing and certain types of games). I’ve spent the last couple of weeks scouring the web trying to find the best apps to use and thought I would share my findings so far. Unfortunately, it is true that there aren’t anywhere near as many awesome apps for Android as there are for iOS. 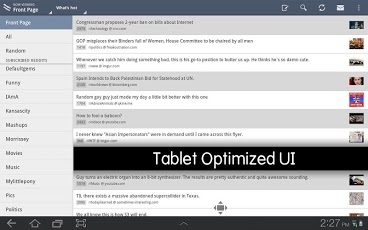 However, things seem to be changing, and I’ve even come across a few amazing apps that are Android only! So here are my recommendations so far (I’ll post more when I’ve got more to share). I’ve been using Swype as a replacement for the keyboard on my phone for a while now, but held off installing it on my tablet to see how the default keyboard fared. Verdict – it was rubbish compared to Swype. 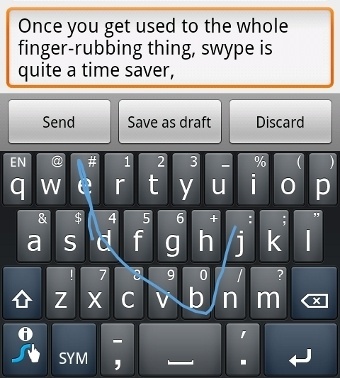 Swype is a gesture recognition way to use your keyboard. You swipe your finger across the screen over the letters of the word you wish to type and Swype works out which word you meant. It is incredibly accurate and becomes even more accurate the more you use it. The ‘Living Language’ feature of Swype means that the dictionary is always updating with the latest words by looking at the words being mentioned on major news sites and other Swype users. Swype is the kind of tool that amazes people when they first see it. It is certainly worth getting past the slight learning curve at the beginning. Furthermore – I have a feeling that the team at Swype will continue to create smart new algorithms that will make this product even better. This is a beautiful and easy to use mind-mapping tool. I’ve been having lots of fun playing with the free version, but I’m quite tempted to pay the £3 for the fully featured premium version that allows you to link mind maps together and gives you a range of styling options. The dragging interface is intuitive and the workspace is uncluttered, and the app works amazingly well with the Samsung Stylus. After playing with a few different to-do list apps, I think I’m going to settle on Any.Do. It doesn’t have many features, which is a blessing for any to-do app. 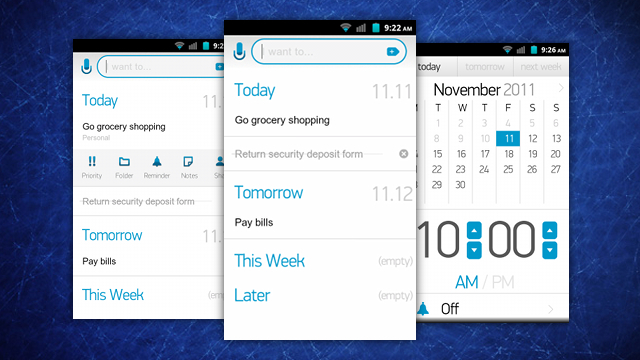 It’s design is simple and elegant whilst the widget is clean and customisable. It syncs across all of your devices and the Chrome extension looks pretty sleek too. If you are a Reddit fan (and if you are not then you need to check it out), then you need the bizarrely named Bacon Reader app. It offers a great swipe based way to explore your favourite topics and manage your account. 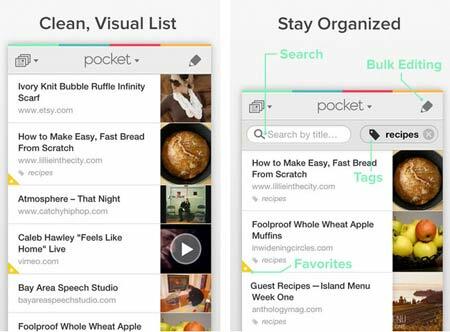 Pocket is a bookmarking/read-it-later app which takes the page you are reading and saves it for later offline reading. Although I already use Delicious for social bookmarking, I’ve decided that Pocket is going to be used for resources that are of a high quality – not just things that I may need to reference later. Kind of like a curated bookmarking service. It has all the tagging functionality and cross platform synchronisation you expect and also a clean user interface that gives you a little snippet of each page you have bookmarked. I don’t think it has the same kind of open architecture you would find from Delicious, so it will unlikely ever be a replacement. But it’s pretty darn stylish. This cool little app turns learning Chinese characters into a game. You have to get the strokes in the right order in order to earn stars. I’ve only gone through a couple of workbooks, but it’s proving to be a fascinating introduction into the world of Chinese symbols. The bug downside to this seems to be the cost. At £2 for every new workbook, it could turn out to be pretty expensive to work your way through all of them. Regardless, there is a deep sense of satisfaction and pleasure writing these letters and I’m already pretty hooked. When I first touched a Tablet I envisioned the gaming potential. Point and click games like Command & COnquer would take on a whole new life! Unfortunately, all we seem to get is casual games like Angry Birds. GalaxIR has given me new hope for tablet games. Its a game that could only really be played on a tablet as it requires you to move your hand around the screen selecting units, putting them into groups and attacking the enemy at a super fast speed. The game itself isn’t too polished – but to me it is standing at the cutting edge of tablet gaming. Books online seem to come is a range of different filetypes – and Aldiko seems to cover most of them. It has a cool little bookshelf, let’s you sync between devices, is fully customisable with night time lighting etc and gives you access to lot of catalogues and stores. The quality of PDF’s didn’t seem to be quite as good as using the officical PDF reader though. It is difficult to think of your behaviour as being directed by forces outside of your control. The idea that you are not an autonomous individual creating judgements independently is something that is difficult to accept. Unfortunately for our ego, there are hundreds of psychological studies that prove our opinions, thoughts and actions are not entirely our own. Whilst reading Thinking Fast and Slow I came across an interesting psychological concept known as priming. In short, the idea is that you can prime somebody to give a particular answer by exposing them to stimulus before hand. You can try it yourself – casually talk to somebody about their lunch, ask them what they ate and then ask them to fill in the missing letter in ‘SO_P’. It is likely they will choose ‘SOUP’. Try it with somebody else but talk to them about bathrooms, cleaning and showers then it is likely they will opt for ‘SOAP’. The term goes back to a study in 1996 by John Barge who demonstrated that making people think of old age during a word game made them walk around more slowly afterwards. There are tonnes of examples of priming given in the book and across the web. A picture of eyes will make people more honest and thoughts of money make people more antisocial and less likely to help other people. Of course, the concept of priming has an important effect on the role of the media. Issues that are given a high prominence in the media will be primed in peoples mind come election day. More often than not, the purpose of building an online community is to gather large amounts of qualitative data. This post will look quite broadly at how you analyse and code qualitative data. Analysis of qualitative data involves looking for themes, patterns and relationships within data. Taking an organized and thorough approach to the dataset ensures that nothing is missed out or wasted. Whilst it is important to take a structured approach to analysis, it is equally important not to become too formulaic – flexibility and fluidity is crucial. The goal of analysis is to ‘distil the essence’ of the data you have available, and this essence will vary based on the type of project you are working on. For example, an advertising or PR company would want you capture the creative or inspirational essence of research, whereas insight and reliable evidence might be the goal with public sector clients. To get to the essence of the data it is necessary to dissect, scrutinise and label chunks of content and place them under relevant headings so that relationships can be discovered. This process is called coding and there is a lot of software that can help you do this, from free open source programs to expensive feature rich packages. Alternatively, a spreadsheet or word-processor can often be just as effective if you are working with a small dataset. When coding, the first distinction to establish is whether you will take a deductive or an inductive approach to your project. Inductive means that your code scheme will come from the data itself whereas deductive refers to approaching your data with some theoretical ideas or concepts. Most of the time you will be using both approaches. A deductive approach will allow the coding to be defined by a combination of a researchers own personal knowledge (acquired from their own reading and experience), the research brief and the contents of the discussion guide. This would be followed by an inductive approach where the contents of the dataset go on to determine part of the coding scheme. A literal approach – what words, dialogues, actions etc are used? A interpretative approach – more analytical: what are the values, norms, rules, etc of what is being said? A reflexive approach – what role have you as a researcher had on the study e.g. does the way questions are worded have an effect on the response? What assumptions are people making and what are they taking for granted? How does context affect what is said or done? What particular words are being used and how frequently? What concepts are people using to describe things? What words are used in which contexts? What are the repeated words and how often are they repeated? What metaphors and analogies are people using? Where are people attaching significance? Where are people placing emphasis? Are there instances of slang or colloquialisms? How are transitions used– such as pauses, changes of tone, new sections and topics? What pronouns do people use e.g. do they use I or us to describe an emotion? How does a term or expression compare to something similar or different in other instances in the text? What linguistic connectors are used to create relationships between words – e.g. because, before, after, next and ‘for instance’? Are there any noteworthy omissions – something you expected to see but is missing? Are there contradictions between different parts of the data? What interesting stories are in the data? These questions will help you create a code-framework that should cover all the salient parts of the dataset. Remember to keep an open mind when coding and don’t think of your code-framework as fixed – codes can be expanded, combined, split into subcategories or simply thrown away. Bear in mind that the same chuck of text can be coded more than once and that there are no rules on how large or small a highlight should be. During the your second or third round of coding, new relationships will emerge and your code scheme will become more refined. You will want to begin using codes to highlight good verbatim’s that you will want to highlight in your final report. Once you have chopped up your data and organised it into a strong coding frame you are ready to reassemble into a report. For an organization, an online community can provide a wide range of benefits that would be difficult or impossible to acquire through any other means. Below is a (by no means definitive) selection of some of the benefits that can guide your thinking about a community. Every day organizations make important decisions. Most of these decisions will be made through a combination of gut feeling and talking with team members. An online community improves this decision making process by allowing you to run choices past a group of interested and communicative customers. It allows you to put your customers voice right at the heart of your organizations decision process. It also allows you to ask things that you wouldn’t normally have the budget to research. At the core of an online community is the regular member – someone who logs in regularly and contributes content over an extended period of time. This relationship allows a community owner to make regular measurements of a members opinions, behaviors and attitudes. This longitudinal approach to understanding a member builds a deep profile and allows researchers to chart changes in perception over time. This depth of information can be complemented by linking profile information to survey responses and other social network activity. Offering a community environment to your customers or supporters will increase their loyalty towards you. By providing them with the means to enter into a prolonged discussion that help shapes the company or organisation, they will feel valued and much more a part of your organisation. There is every reason to expect the community team to become friends with loyal members – after all, meeting new friends is a key community motivator! These friendships mean that you can generate significant word of mouth benefits. By making sure that you build a community website that oozes style, sparkles with ideas and bursts with activity you will significantly improve the image of your brand. An often quoted anecdote relates the story of Francis Galton’s surprise when a crowd of people accurately predicted the weight of an ox at a county fair. The average of all their guesses was closer than any individual guess. A well designed community can allow you to create the conditions necessary (diversity, independence, decentralization and aggregation) to tap into the collective intelligence of crowds to solve a range of problems. People want to help you build! Communities allow you to develop a system of collaborative engagement with stakeholders that can be used for any number of creative design projects. Find your customers that have special skills or unique personalities and use their differences to aid your creative process. Alternatively, just observing a community having a conversation about something can be a rich field of inspiration. By encouraging members to open up and by moderating them with the correct techniques you could find the direction you need. A community is available at a moments notice to either collect immediate reaction to news stories and events or to help out with the day to day grind of planning larger research studies. The quick accessibility you have to your own community means that you can fire ideas off them, get the members to discuss something whilst you brainstorm and any other task that needs a quick response. Running your own community will enable you to communicate with people in a way that removes interviewer or audience bias. Members can hide behind an avatar and can express thoughts and feelings in a true and honest way that they might not be able to in other research surroundings. Furthermore, you will find that many people that would not be happy taking part in many other types of research are more than happy to take part in online community activities. Whilst you may think that a community should be made of your customers or campaign advocates, a community can equally be composed of a broad range of people. This can be a groups of people that would never want to be involved in your organisation or those that are using your competition. Limiting your community membership can be detrimental if you wish to use the community for competitor analysis or for tracking broader societal trends. Having an amalgamation of different members will let you see what is really going on in society and in the marketplace. One of the greatest benefits of having a community is just to see what happens! Not having too much of a set goal can give you the freedom and flexibility to let your members define what the community becomes. All communities should facilitate serendipity and create a space for the unique parts of your community – the members – to inspire completely new ideas. Before diving deeper into the structures and methods involved in creating good online communities, I thought it best to highlight an important and recurring theme across community management websites. The 24 hour rule states that any comment left by a member during a community discussion should be replied to within 24 hours of initial posting. Ideally the comment would be replied to by another member of the community as part of a rich and flourishing discussion. This, however, isn’t usually the case, especially in the early days of a community. In the early days, there is a lack of commitment to your community. Members are still assessing whether or not this is something that they want to be a part of. They are conducting profit/loss sums in their head to work out if this is the place for them. This is why the 24 hour rule is so crucial to a successful community. You need to show members that this is a place where their effort will be listened to. Members need to see that your community is a bustling, busy and engaging place that they want to be part of. Ignoring the 24 hour rule is a hallmark of companies with failed communities. They haven’t invested enough resources into ensuring that contributions are valued. Instead they have a forum ghost town with long lists of unanswered member posts. Ensuring the 24 hour rule is adhered to is a key responsibility of the community manager. If a comment is left in the community and no-one has replied to it, then a good community manager will leave a reply. As a community grows you can furnish experienced members with the responsibility of upholding the 24 hour rule.